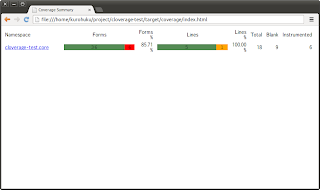 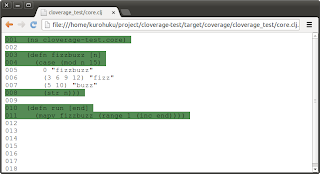 (3 6 9 12) "fizz"
Performance warning, cloverage_test/core.clj:3 - case has int tests, but tested expression is not primitive. 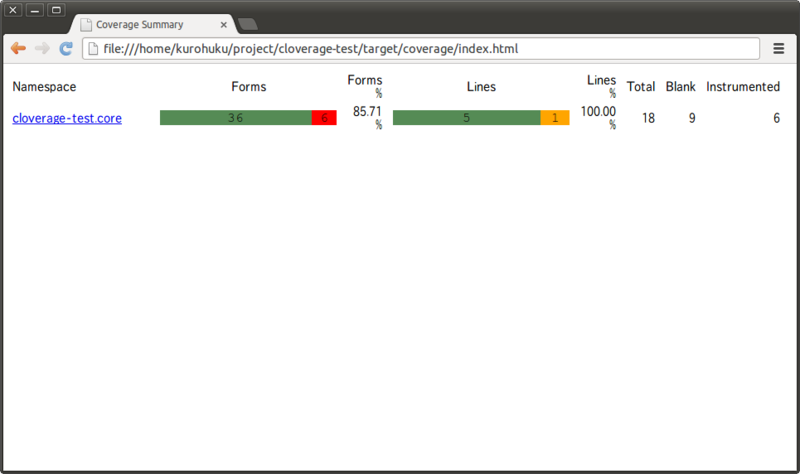 Produced output in /home/kurohuku/project/cloverage-test/target/coverage . 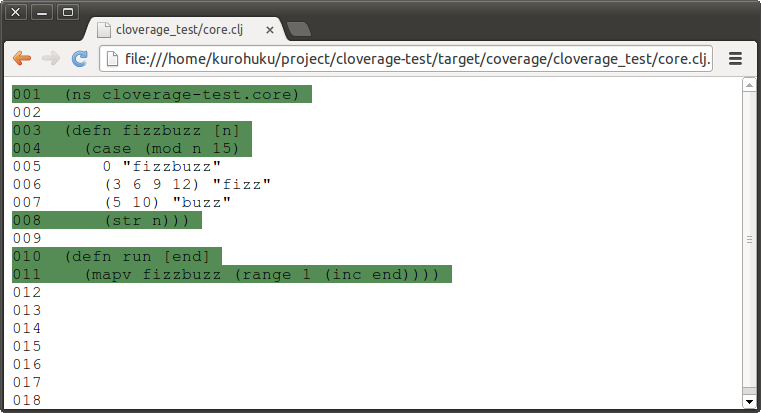 (is (= ["1" "2" "fizz" "4" "buzz"
"fizz" "7" "8" "fizz" "buzz"